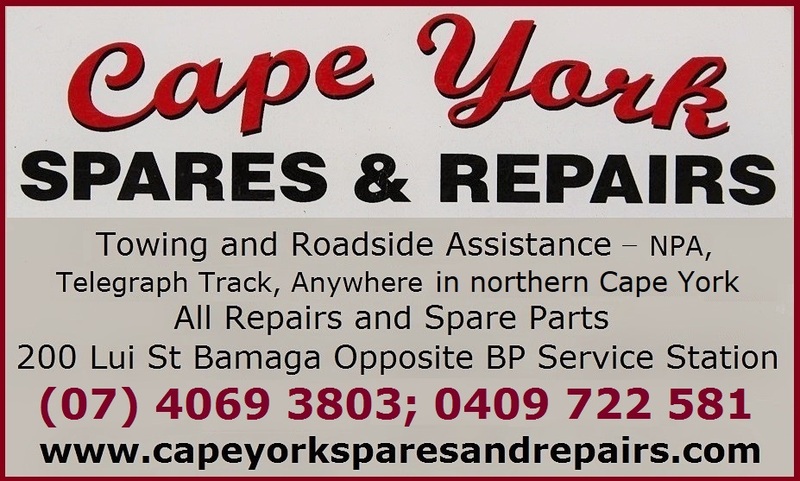 Central Cape York starts north of Musgrave. From here the penisula is narrower, which means the coastal spots are closer. The places along the main road are small. Furthest south are Coen and Stewart Point. In the middle are Archer River and Mungkan Kaanju National Park, and in the north are Weipa and Iron Range National Park. 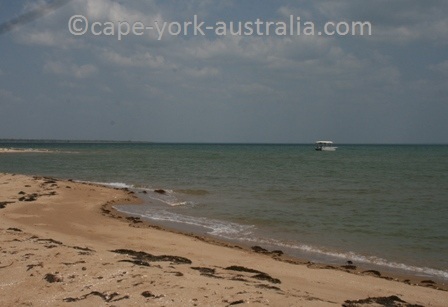 and Marina Plains, then The first area north and north east of Musgrave is the Princess Charlotte Bay. In the southern end of it are Annie RiverRunning Creek Track; and in the northern end are Port Stewart and Silver Plains; and a back track to Coen - the Old Coen Track. If you don't do the Running Creek Track or Princess Charlotte Bay, along the main road north of Musgrave you have the turnoffs to Kendall River Road and Hamilton Goldfield, and Port Stewart. The next north is Coen - your only town in the area, and it's not a big town. 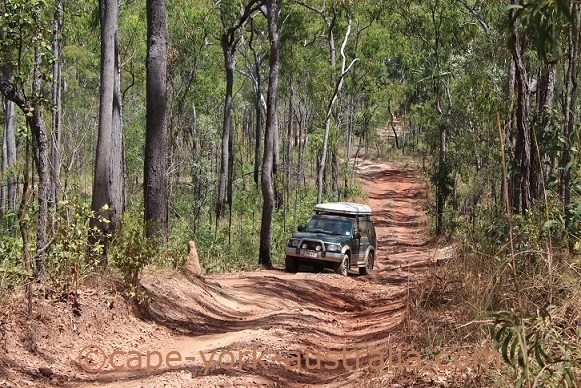 North of Coen is the Cape York Quarantine Station, and north from here are a few turnoffs to Mungkan Kaanju National Park. 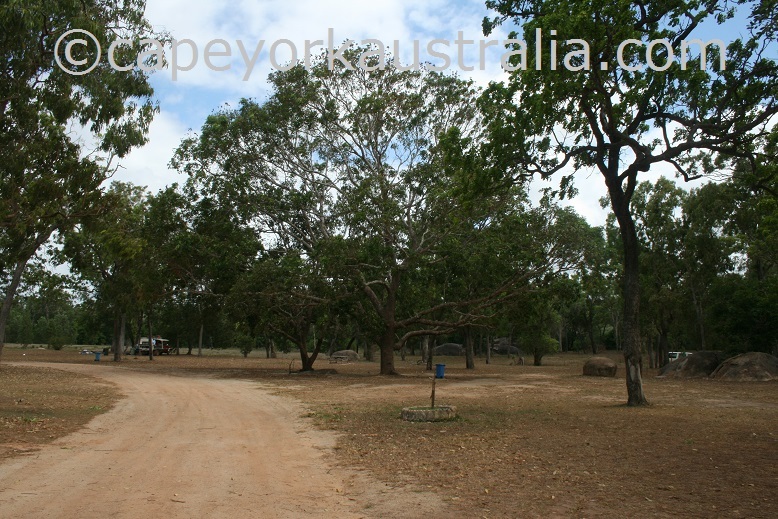 It is a huge park - 60km in just to get to the camping grounds. It has a dry vegetation, but the camping is next to rivers and waterholes. 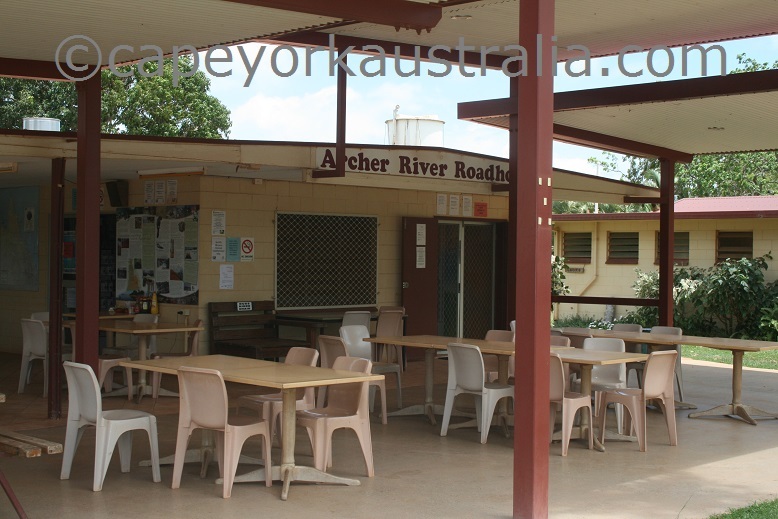 North of Mungkan Kaanju is Archer River Roadhouse. 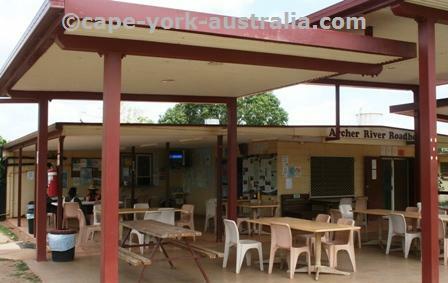 It is a great roadhouse with accommodation and a large camping ground, as well as a licensed bar and a restaurant. 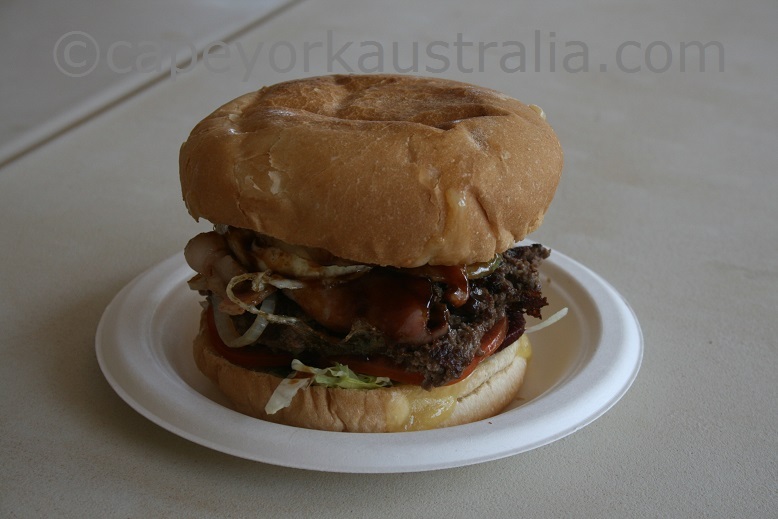 It serves some big meals (Archer Burger is popular) and gets crowded in the season. North of Archer River you have the turnoff to the eastern coast (past Batavia Goldfields and Chuulangun Camping Ground). 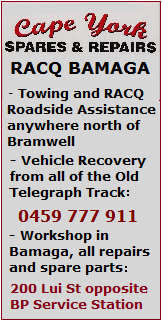 Other ways to get in are Frenchmans Track and Falls Track - some of the best 4WD tracks in this part of the peninsula. And some of the best kept secrets is Restoration Island. 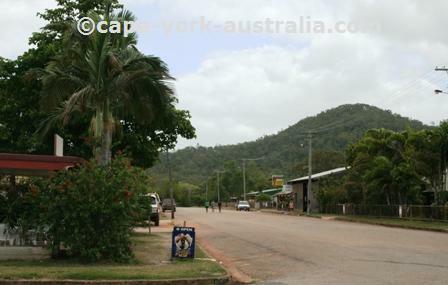 The administrative centre of the whole Iron Range area is Lockhart River, which is the largest community in this area, and it has a historical WWII airport, an Arts Centre, and the most spectacular is of course the much photographed Quintell Beach. 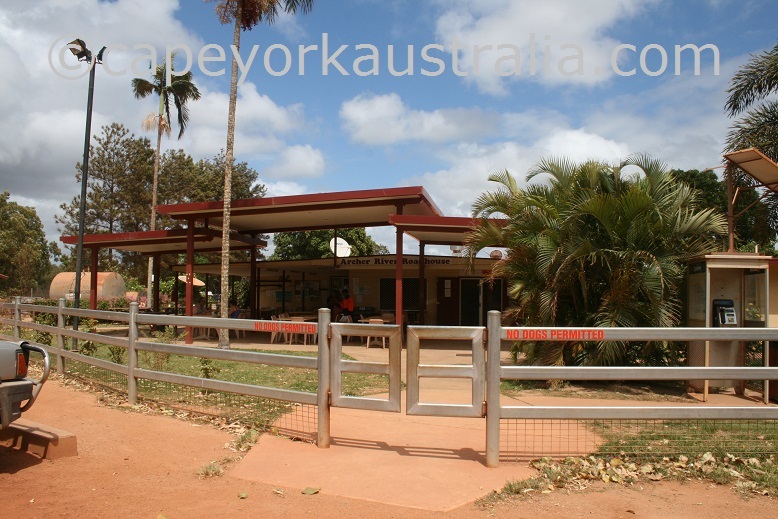 It is an Aboriginal community with alcohol restrictions. North of Lockhart River - also here on the coast - is Iron Range National Park. 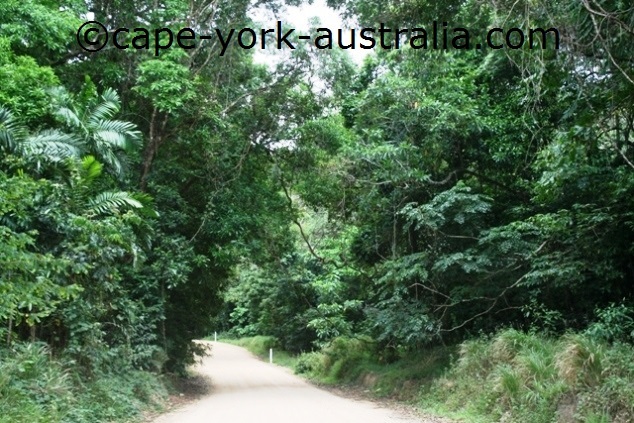 It is a very special place if you are into bird and other wildlife watching, containing the largest amount of species Cape York shares with Papua New Guinea and not the rest of Australia. North of the central section of Iron Range National Park is a road to its northern section - Chili Beach, and Portland Roads (outside the national park) - a tiny community with a lovely small beach. There is not much for travellers, it's more of a local spot, but a beautiful one. 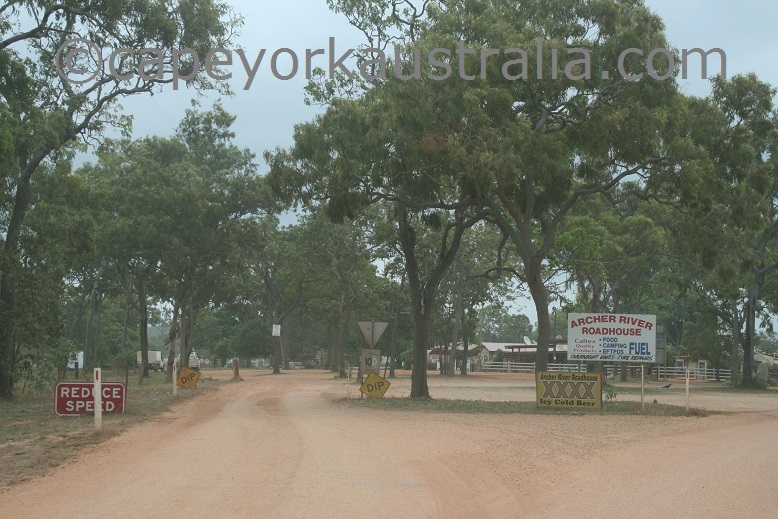 Back on the Peninsula Developmental Road, further north it turns west to Aurukun and other places south of Weipa, past Merluna Station. Weipa is a bauxite mining town, there is nothing much particularly for travellers, except beautiful beaches and great fishing. 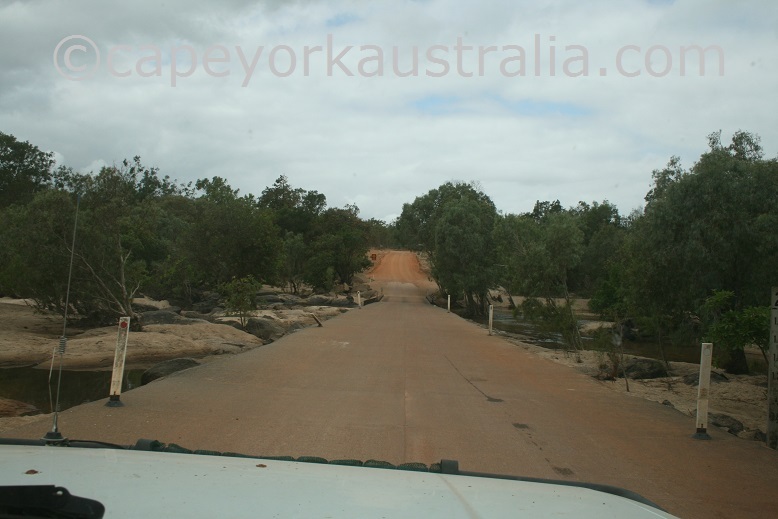 North of Weipa, there is a road to Mapoon. You pass by turnoffs to Stones Crossing, Barrage and Pennefather River. 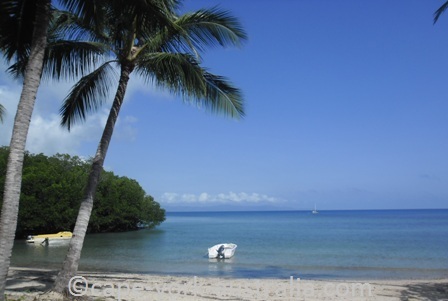 In Mapoon, there are a few nice beaches that are great for fishing. 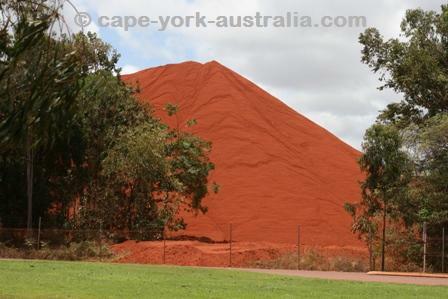 It is an Aboriginal community and alcohol restrictions apply. 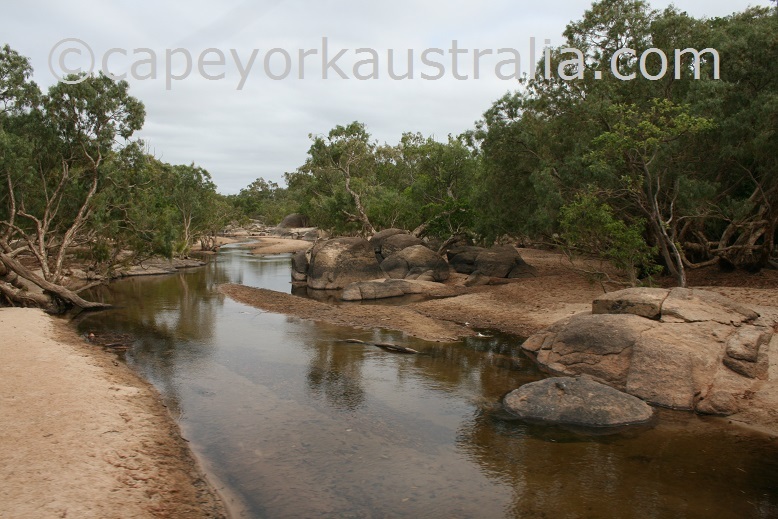 Archer River stretches pretty much across the whole peninsula in central cape York. It starts in the eastern rainforests, in northern Kulla - McIllwraith Ranges. Then it crosses the Peninsula Developmental Road near the roadhouse by the same name. 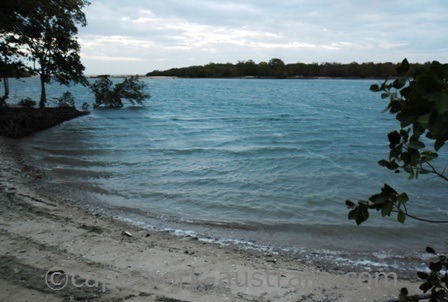 Then forms the northern border of the Rokeby Section of Mungkan Kaanju National Park and goes right through the Archer Bend Section of the same national park, before it mouths at the Aboriginal community of Aurukun, south of Weipa. 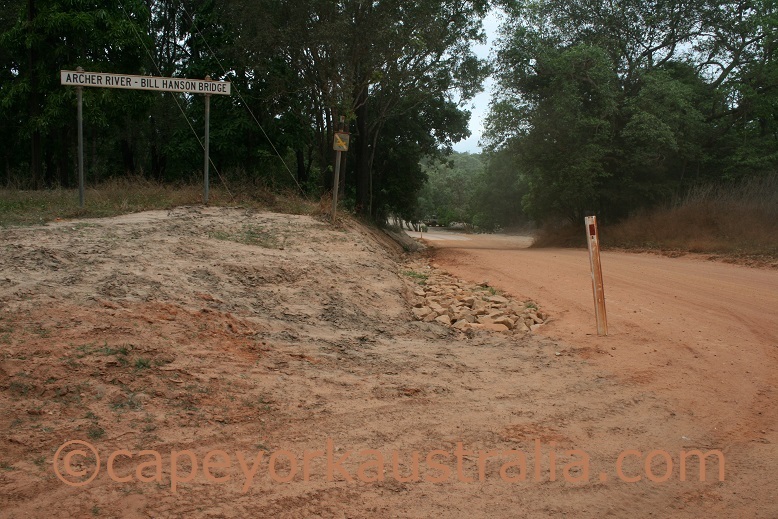 Most Cape York travellers only come across it once, when driving north along the Peninsula Developmental Road, just north of Archer River Roadhouse. 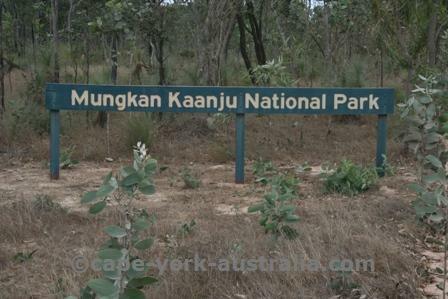 But you also get to it if you go camping in Mungkan Kaanju National Park. 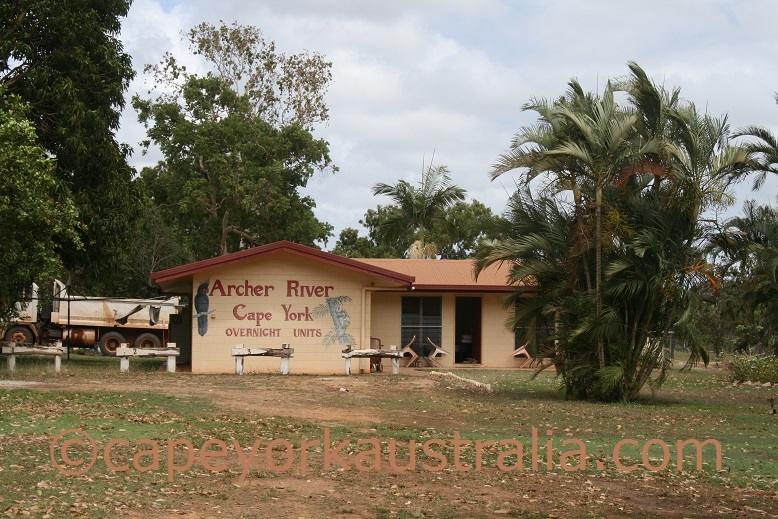 Archer River Roadhouse is a popular stop in central Cape York. 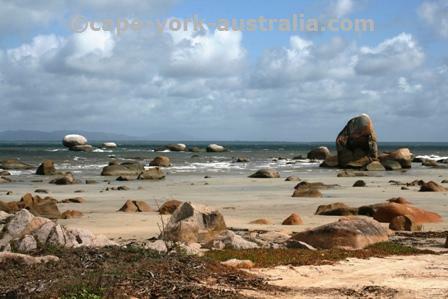 It is on the Peninsula Developmental Road north of Coen and Mungkan Kaanju National Park, and south of the turnoff to Portland Roads, Lockhart River and Iron Range National Park. Most roadhouses sell food but not all have a restaurant and bar area where meals are served. And it gets crowded during the night time too (in the season of course). It also sells takeaway food and drinks, some souvenirs and basic groceries. .. as well as a large camping ground in the back.